Product prices and availability are accurate as of 2019-04-15 18:58:43 EDT and are subject to change. Any price and availability information displayed on http://www.amazon.com/ at the time of purchase will apply to the purchase of this product.
? 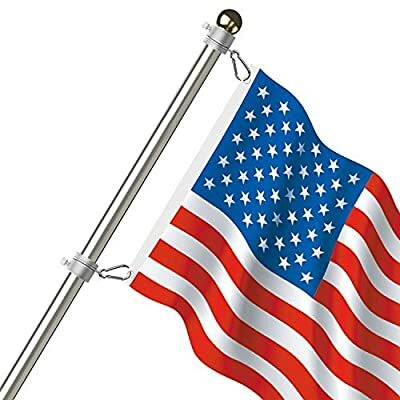 The mounting rings have a 360 degrees rotating anti-wrap ring, It allows flags to fly freely in the direction of the wind, and preventing the flag from wrapping around the flagpole.
? Lightweight, durable, no rust, no fading, no deformation, no cracking. They can adapt to a variety of harsh environments!
? 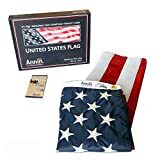 Designed for flags with grommets, Comes With Two Carabiners, Hanging the Carabiner between the flagpole ring hole and the flag grommet, for connecting the flagpole and flag.
? The screw is adjustable, specifically designed for 0.75-1.02 inch outside diameter flag poles. Please Note: More than 1.02 inches outside diameter of the flagpole can not be used. 1. Position the first rotating ring under the ball on the top of the flagpole, then tighten it. 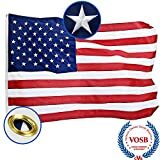 Attach the top grommet of the flag to the hanging buckle located on the mounting ring. 2. Position the second rotating ring in the necessary position of the flagpole, then tighten it. Attach the bottom grommet of the flag to the hanging buckle located on the another mounting ring.
? Please pay attention to install direction, Be sure to keep the rotating ring is above the screw when installing, to avoid long-term gravitational influences that cause it to damage or fall.
? 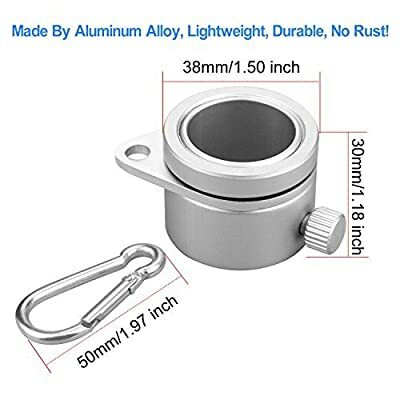 360 Degrees Free Rotating Mounting Rings. 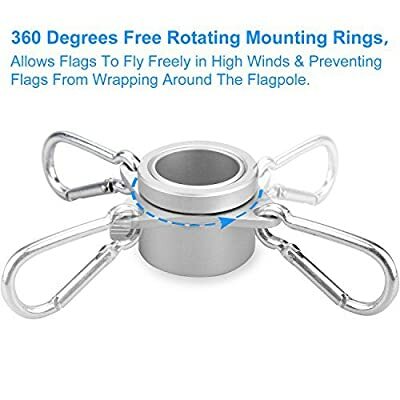 The Mounting Rings have a Rotating Anti-wrap Ring, It allows Flags to Fly Freely in the Direction of the Wind, and Preventing the Flag from Wrapping Around the Flagpole. ? High Quality Aluminum Alloy and Carabiner Design. Lightweight, Durable, No Rust, No Flading, No Deformation, No Cracking. They can Adapt to a Variety of Harsh Environments. 2 Pack Mounting Rings and 2 Pcs Carabiners with Gift Box for You. ? 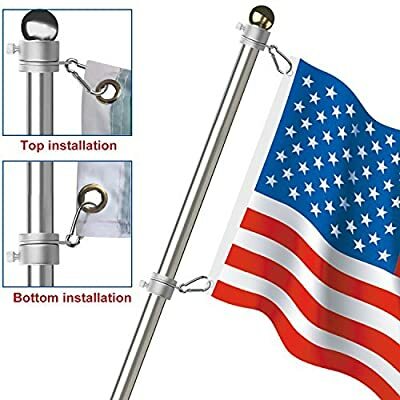 With Adjustable Screw, Specifically Designed for 0.75-1.02 Inch Outside Diameter Flag Poles. Note: More Than 1.02 Inches Outside Diameter of the Flagpole Can't Be Used. ? 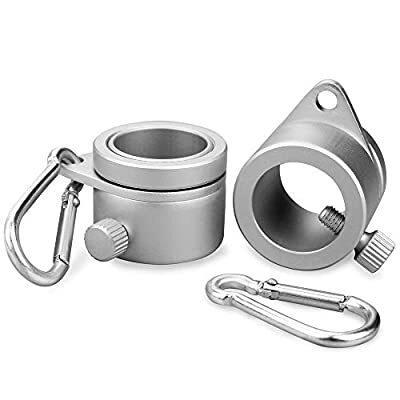 Designed for Flags with Grommets & Comes With Two Carabiners. Hanging the Carabiner Between the Flagpole Ring Hole and the Flag Grommet, for Connecting the Flagpole and Flag. ? 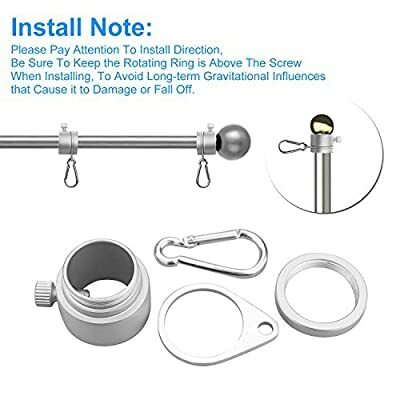 Install Note: Please Pay Attention To Install Direction, Be Sure To Keep the Rotating Ring is Above The Screw When Installing, To Avoid Long-term Gravitational Influences that Cause it to Damage or Fall Off.